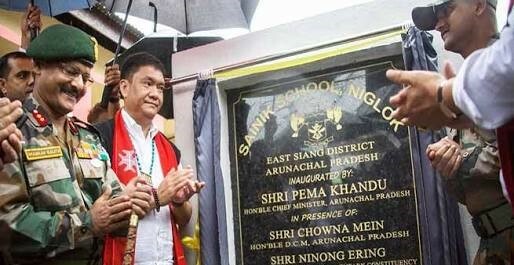 Arunachal Pradesh Chief Minister Pema Khandu dedicated Arunachal Pradesh’s first Sainik School at Niglok in East Siang district to the people of Arunachal Pradesh state. Arunachal Pradesh's Sainik School first academic session from August 27 with 60 students. The school is at present functioning from a temporary building and the permanent structure would be completed within three years. Arunachal Pradesh's first Sainik Schools would provide an opportunity for the youth of the state to pursue a career in the armed forces.